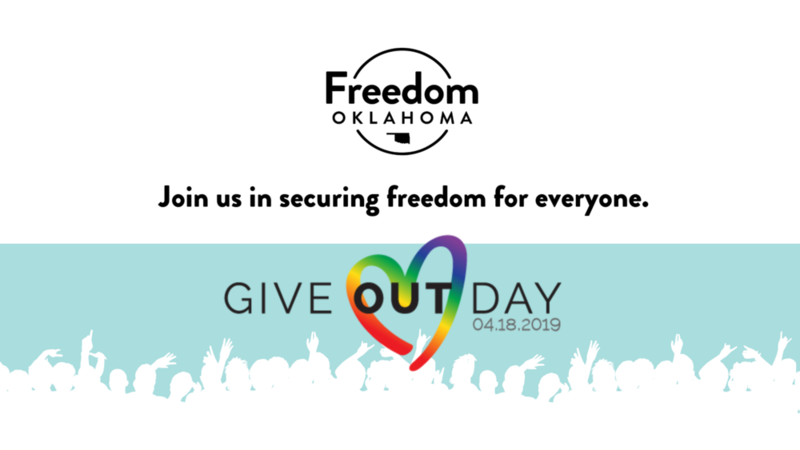 Freedom Oklahoma works to secure lived equality and legal protection for lesbians, gays, bisexuals, transgender and queer people through advocacy, public education, coalition building, and empowerment in the civic process. Our 501c-3 provides education and advocacy for the advancement of LGBTQ+ Oklahomans. Our 501c-4 provides legislative advocacy and campaigns for the advancement of LGBTQ+ Oklahomans. We envision an Oklahoma in which every person has the guaranteed right to live an authentic life free of discrimination and inequity. Freedom Oklahoma is driven by the core belief that Oklahomans of every sexual orientation, gender expression, and gender identity should have equal protection under the law and true and full lived equality in their home state. Our simple curriculum teaches how to track and advocate for a bill. Helps citizens be more engaged civically and empowered to make change. Our annual summit is an incredible opportunity for LGBTQ and allied students from across Oklahoma to come together, network, share best practices and learn from experts in the field of advocacy, civil rights, law, and LGBTQ health. This year's summit is hosted by Rose State College with the support of the RSC Spectrum Alliance.